If I this night before God’s throne should stand. The wounded hands, the weary human face. Good Friday has been observed since about 100 C. E. Many churches now have mourning services from noon until 3:00 p.m. to symbolize Jesus’ last hours on the cross. Some congregations also re-enact Jesus’ procession to the cross in a ritual known as Stations of the Cross. In the “Ceremony of the Winding Sheet,” Greek Catholics carry a cloth depicting Jesus’ dead body in procession to a shrine, where the priest places it in a symbolic tomb. Another ceremony is the “Service of Darkness” or “Service of Shadows”, usually held in the evening of Good Friday. It is usually characterized by a series of Scripture readings and meditations done in stages while lights and candles are gradually extinguished to symbolize the growing darkness not only of Jesus’ death but of hopelessness in the world without God. The service ends in darkness, sometimes with a final candle, the Christ candle, carried out of the sanctuary. Whatever the origin of the phrase, the current day offers a lesson to those of us who assume that “good” always means “happy.” This day marked with sadness is still a good day. 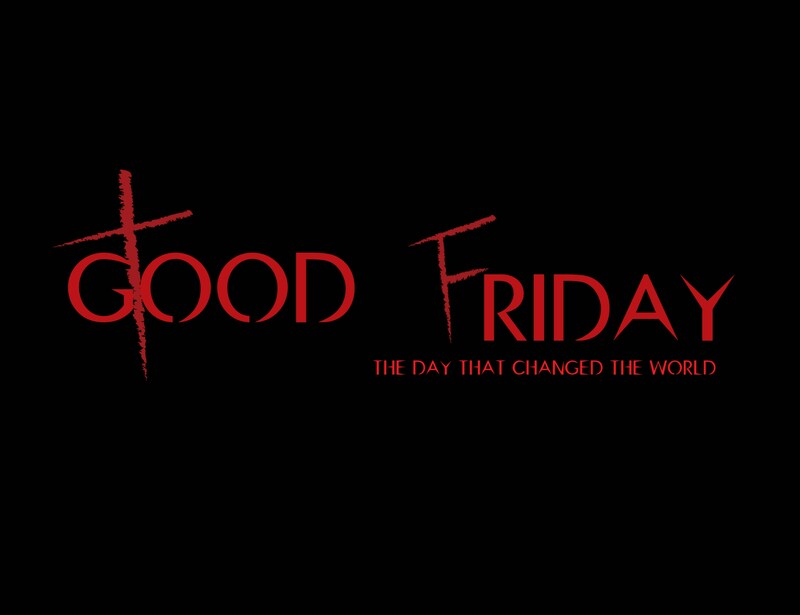 Good Friday has always challenged human goodness. This sad day is also a victorious day reminding us that in the face of sin, our goodness amounts to nothing. Only One is good enough to save humanity – God. It is the humanity of Jesus that gives us hope that God still desires to use us as peacemakers in this broken world. It is the power of God that is the cause for celebration. This entry was posted in Coach's Blog, life coach, Sonrise Coach, Spiritual Coach - Denny Meyer, spiritual coaching. Bookmark the permalink.